Now coming in November, due to an unexpected conflict: K C Dietz and Amalia Walton, Lake Washington Rowing Club, on maintaining public access to Lake Union at Waterway 23. Ruth Harper, Seattle Department of Transportation, presents the results of the southeast Wallingford area Restricted Parking Zone (RPZ) study. Update on the the Green Lake and Wallingford Paving project which includes N/NE 40th Street. The next Monthly Meeting will be Wednesday November 7, 2018, 7 PM. Sharps Pick-up & Disposal Training, October 2, 6:00 PM at B. F. Day, and October 10, 6:30 PM at John Stanford International School. Wallingford Historic Homes Fair on Saturday October 6 from 10 AM to 4 PM at the Good Shepherd Center. This entry was posted in Land Use, Monthly Meeting, Parking, Quality of Life, Schools, Shorelines, Transportation on September 28, 2018 by Frank Fay. A Navigation Team Representative from the City will address safety concerns about illegal encampments, garbage, and hazardous waste (needles, human feces). What the police can do. What residents can do. 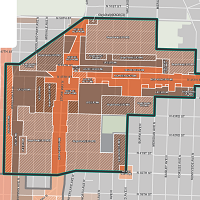 Phil Reichel of Save N40th will present on why they oppose the Seattle Department of Transportation plan to remove parking on N/NE 40th Street in order to add bicycle lanes. The next Monthly Meeting will be Wednesday October 3, 2018, 7 PM. City Councilmember Rob Johnson has released a new Tree Ordinance that replaces tree protections in favor of tree removal and mitigation. The Coalition for a Stronger Tree Ordinance is meeting Saturday September 1, 11:15 AM to 1:15 PM at the Green Lake Public Library. The Planning, Land Use and Zoning Committee is holding a Public Hearing on Wednesday September 5, 9:30 AM in City Council Chambers. Volunteers needed to help construct gravel walkways at the Nickelsville Northlake Tiny House Village on Saturday September 8 (see below). This entry was posted in Calls to Action, City Council, Land Use, Monthly Meeting, Parking, Quality of Life, Transportation on August 31, 2018 by Frank Fay. The Seattle Department of Transportation (SDOT) is planning major lane configuration changes when paving N/NE 40th Street, N/NE 50th Street, Green Lake Way N, E Green Lake Way N, E Green Lake Drive N, and Green Lake Drive N in 2019. This would provide new Protected Bicycle Lane facilities. 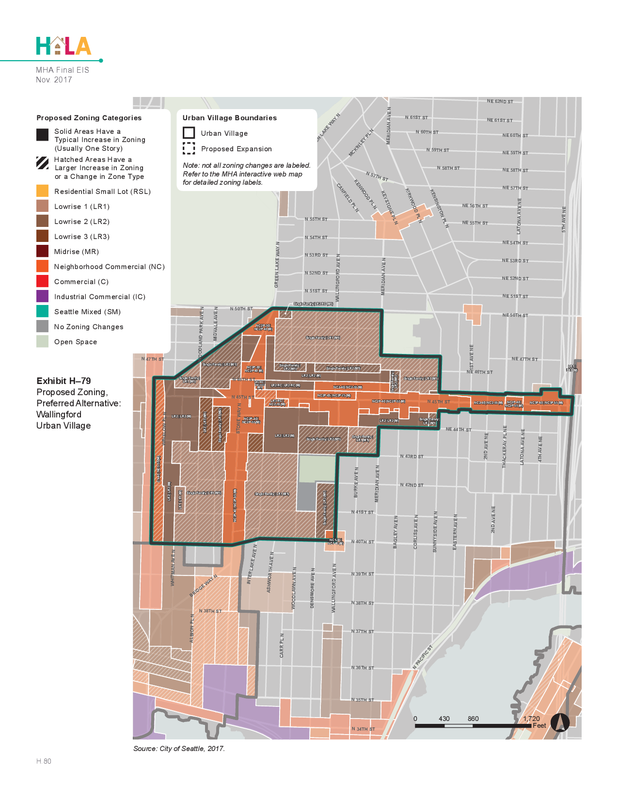 Removal of all street parking on N/NE 40th Street from Wallingford Ave N to 7th Ave NE. 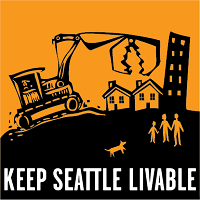 Removal of one side of street parking on N/NE 40th Street from Stone Way N to Wallingford Ave N, on Stone Way N from N 45th Street to N 50th Street, and on Green Lake Way N from N 50th Street to N 52nd Street. Safe transtition of bicycle traffic from a two-way Protected Bicycle Lane to two one-way Protected Bicycle Lanes at Green Lake Way N and N 52nd Street. More cut-through traffic on residential streets due to congestion from new signals at Green Lake Way N and W Green Lake Way N (Pitch & Putt), and at Green Lake Way N and N 52nd Street. No traffic improvements to the low-performance intersection of Stone Way N, N 50th Street, and Green Lake Way N.
Lulling casual cyclists into false sense of safety with an uphill Protected Bicycle Lane on N/NE 40th Street which transforms into high-speed sharrows in traffic on the downhill sections. This entry was posted in Calls to Action, Parking, Quality of Life, Transportation on July 20, 2018 by Frank Fay. Vote for your favorite park and street improvements! Your Voice, Your Choice: Parks & Streets is a participatory budgeting initiative in which Seattle residents decide how to spend a portion of the City’s budget on small-scale park and street improvements. This entry was posted in Calls to Action, Quality of Life, Schools, Transportation on July 6, 2018 by Frank Fay. 7:00 PM – Welcome / Call to Order. Introduction of new Board of Directors. TreePAC: Advocacy for an effective tree ordinance. Meeting the City’s goal to increase the tree canopy to 30% includes protecting existing trees and Seattle’s urban forests. Seattle Department of Transportation: Green Lake Area Paving & Safety Projects. Project briefing by Christa Dumpys on bicycle lane and parking changes for Stone Way N, Green Lake Way N, N 50th Street, and N 40th Street. The next Monthly Meeting will be Wednesday August 1, 2018, 7 PM. There is no monthly meeting in July. The 69th Annual Wallingford Family Parade (a.k.a. the Kiddie Parade) is Saturday July 14, 2018, 11:00 AM – 3:00 PM. Volunteers needed – click here to volunteer. ~8:00 PM – Discussion of outreach, inclusion, and potential Bylaw changes. A vote by the Membership is necessary to amend the Bylaws. 9:00 PM – Adjourn General Meeting. This entry was posted in General Membership Meeting, Monthly Meeting, Parking, Quality of Life, Transportation on June 2, 2018 by Frank Fay. The second of six Public Hearings. The first hearing focused on District 4. This hearing will focus on Districts 5 and 6. Wallingford is in both District 4 (City Councilmember Rob Johnson) and District 6 (City Councilmember Mike O’Brien). 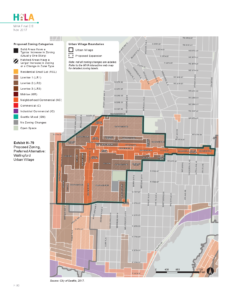 Many parcels in Wallingford would change from Single-Family to Lowrise 1, Lowrise 2, or even Lowrise 3 zoning. Testify – Be heard & be seen to let the City Council know of your concerns! This entry was posted in Calls to Action, City Council, Land Use, Parking, Quality of Life, Schools, Transportation, WallHALA on March 10, 2018 by Frank Fay. SDOT is advising travelers that NE Northlake Way and NE Pacific Street will be closed between 7th Ave NE and Brooklyn Ave NE (NE Pacific Street becomes NE Northlake Way west of Eastlake Place NE) for significant paving work. This work will begin at 7 AM Saturday March 10 through Sunday March 11. All Detour routes will have signs at every intersection for drivers to follow. NE Northlake Way will be closed to all traffic at 7th Ave NE (eastbound). NE Pacific Street will be closed from Brooklyn Ave NE to Eastlake Place NE (then NE Northlake Way is closed to 7th Ave NE). Westbound NE Pacific Street traffic will be detoured northbound at Brooklyn Ave NE, then at NE Campus Parkway they will take a left and follow that back to NE 40th Street and then they will turn right on 6th Ave NE and that will take them back to NE Northlake Way. All parking on NE Northlake Way from 7th Ave NE east to where it becomes NE Pacific Street to NE Boat Street be restricted. “No Parking” signs will be placed 3 days before the parking restrictions begin. Uniformed Police officers will be directing traffic at NE Northlake Way at 7th Ave NE, and at NE Pacific Street at Brooklyn Ave NE. SDOT would like to thank the public for its patience while this work is being completed. This entry was posted in Transportation on March 10, 2018 by Frank Fay. Monday February 12, 2018, 6:00 – 7:00 PM. Eckstein Middle School (Auditorium), 3003 NE 75th Street. For those who wish to testify, sign-up sheets will be available starting at 5:30 PM. This entry was posted in Calls to Action, City Council, Land Use, Parking, Quality of Life, Schools, Transportation, WallHALA on January 26, 2018 by Frank Fay.